Any aged Citroen is such a thoroughly exotic car that you'll be thrilled to hear the engine sputter to life each time you turn the ignition and you'll probably only worry about the carburetors if they start leaking out of the side...unless you've got the later fuel injected version...so now you've got yet ANOTHER single point of failure that depends on ancient French electronics. Great. 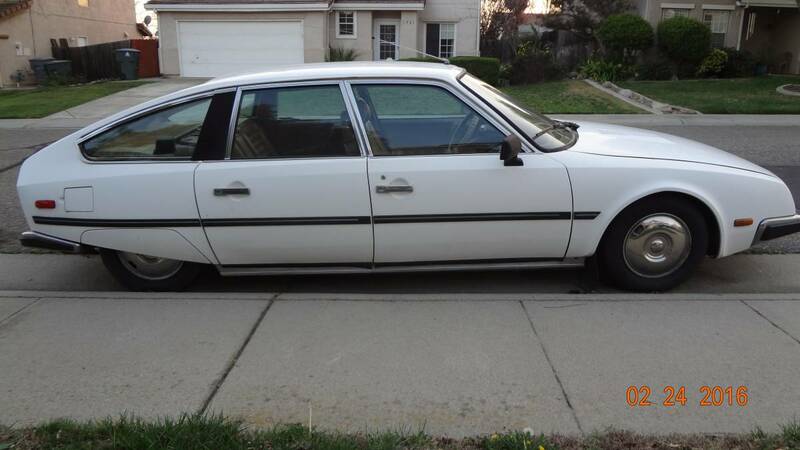 Find this 1982 Citroën CX Pallas IE Automatic offered for $4,800 in Los Angeles, CA via craigslist. Tip from Rock On! 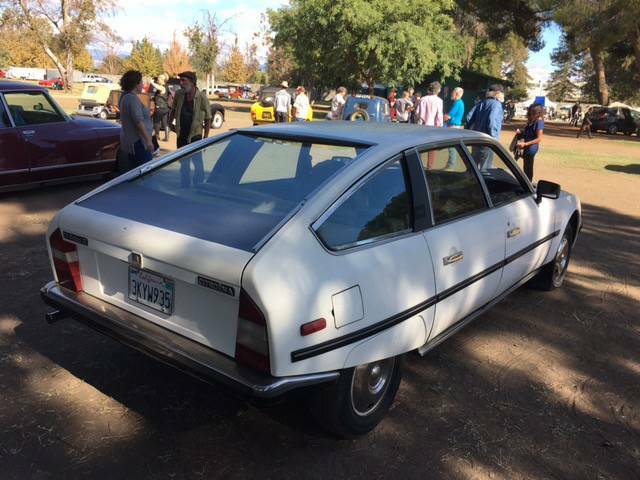 The CX was named for the French equivalent of Cd or coefficient of drag, which for 1974 when released this thing was as slippery as a greased eel. The CX was also the last of the big Citroën machines that started production way back in 1934. A cool, unique French classic / collector car that is usable every day. Famous comfortable Citroen hydraulic suspension and ride, Bosch Fuel Injection, fast and comfortable hip cruiser! reads 11,058 miles. Runs, drives, good tires, starts right up and does not overheat or smoke. I don't know if you're taunting me or helping me. 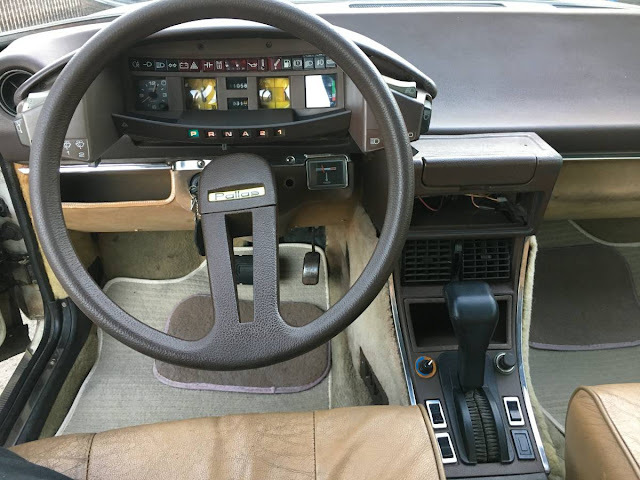 There's a particular kind of logic that has me trapped deciding between a BMW 7-series (E32, but could go E23 or E38) or it's bearded-Spock antimatter, a big old Citroen (XM, but could go CX or C6). What kind of fupped-uk logic is that, you ask? The same thing I have been diligently whining about for months now: big car with a stick. Either I go responsible or le fou, why stop in the middle? And I've gotten used to the Xantia by now, so the hydropneumatics (not oleopneumatics, look it up) no longer intimidate. How can I possibly be dragging it out this long? Because I live hundreds of miles into salted road country so I have to travel to see anything worth buying, and there are precious few of the above cars with manual transmissions and RHD to even look at. So I wait. Big car with a stick, 3K of GBP's. If you are willing to go French, why not Italian instead? The logic is this: I work from home + have two mid-size kids + wife drives a Land Cruiser = the rare times I get to drive any distance, the back seat has to be appealing enough that we take my car instead of the LC. I like the Xantia fine, kids do too, but I can't say I recall one time we've all piled in there, and it wasn't the intention anyway, which explains why I haven't put 900 miles on it since last July. In NorCal, the Roadmaster with its rear-facing third row often beat out the Sienna, especially on ice cream runs + I had my 540 with a stick + I drove all the time. In FarNorUK, I don't have many choices for big cars in the first place, and adding the stick requirement makes it hen's teeth. Yes, there are some other possibilities, Jags and Rovers and Vauxhalls and so forth, but honestly, meh. The easy choice is an E32, but the Citroens really appeal to me, both the off-planet sheet metal and the otherworldly suspension. I also contemplated the last of the Saab 9-5s. FWIW, if it turned out I was actually going to be driving regularly on my own, I would totally have grabbed an Alfa 159 wagon. I don't know how I botched the original link, but here is the one owner, manual V-6 166 I found in Birmingham. I read on the bathroom wall, "If you go French, you never go back", is that true? Funny. I read the same thing about Texas on a bathroom wall.